I m back after long time. This month was so busy, I was exhausted, didn't had time for anything. I m really looking forward to April. 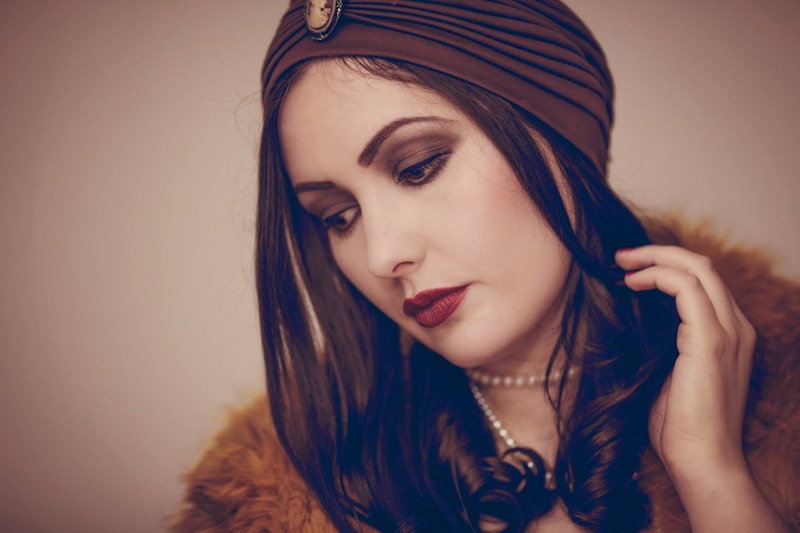 One of my New Year resolution was-to wear more 20's style clothes and make up. 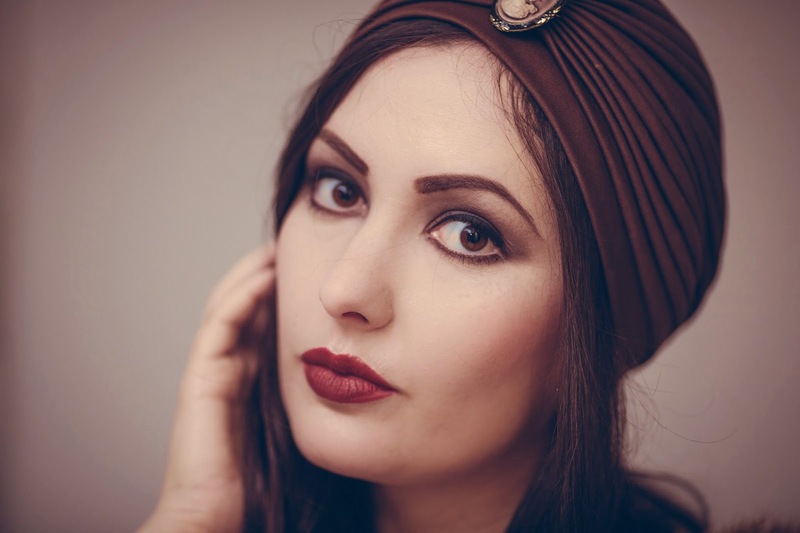 In one of my vintage hunt I found this gorgeous vintage turban. I had already idea for photos. Just I didn't have time to realize it. 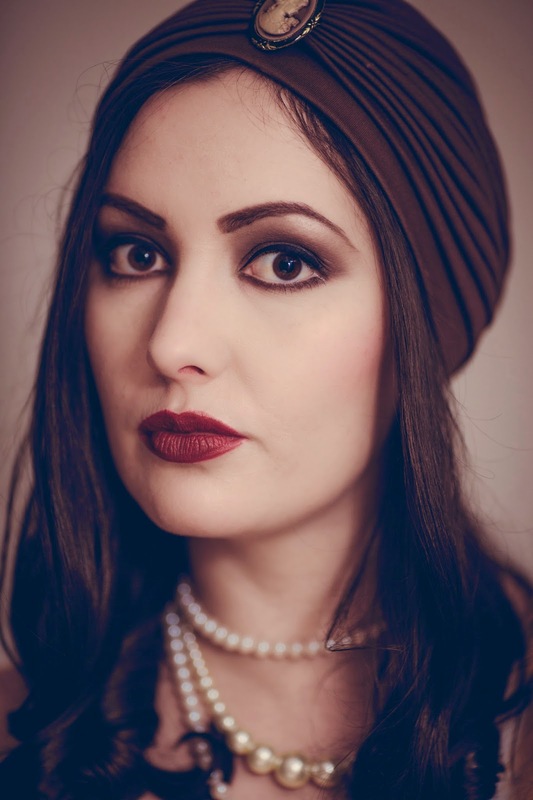 I adore 20's style, dark lips, but in the same time dark eyeshadows. 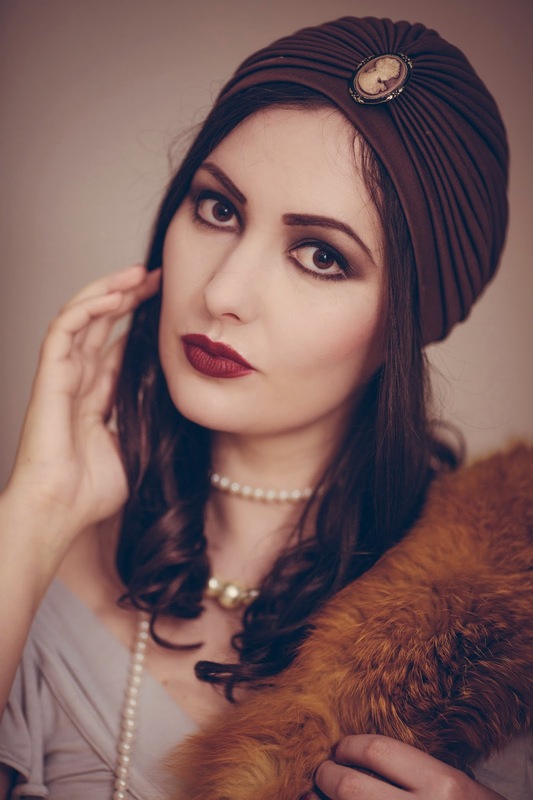 20's make up is difficult to wear on a daily base, but you can adjust it to yourself. Today is also difficult to find 20's vintage pieces like dresses or hats, but today some repro brands make really nice 20's inspired dresses. 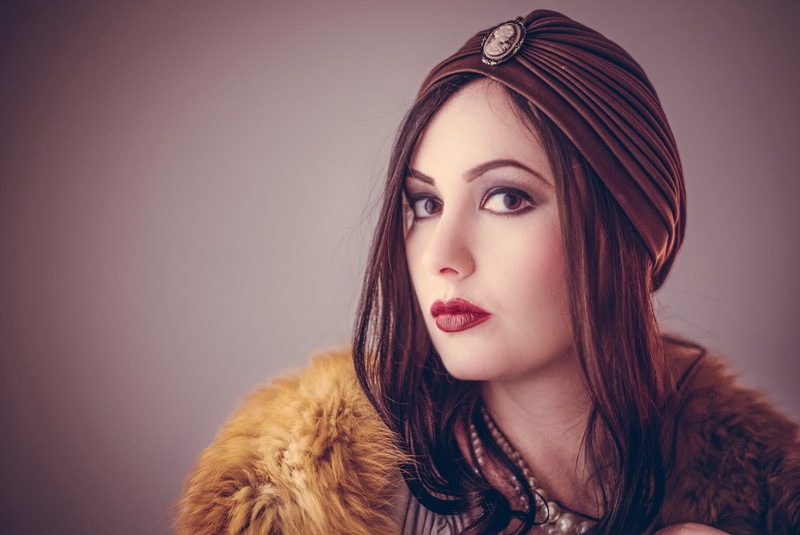 Women fashion in the early 1920's experienced dramatic changes following the end of the WWI, in a period called the roaring twenties, the era of the flapper. 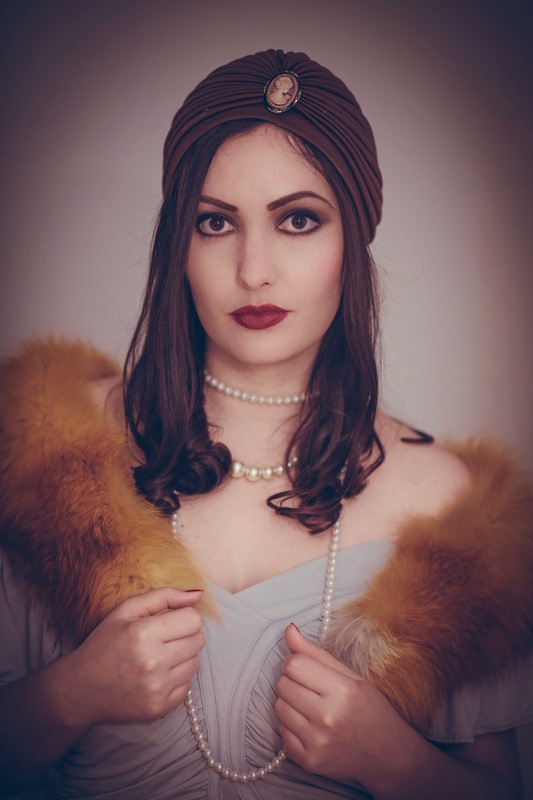 20's was the decade in which women first abandoned the more restricting fashions of past years and began to wear more comfortable clothes. 20's brought a lot of new things, new technologies, cars and moving pictures. 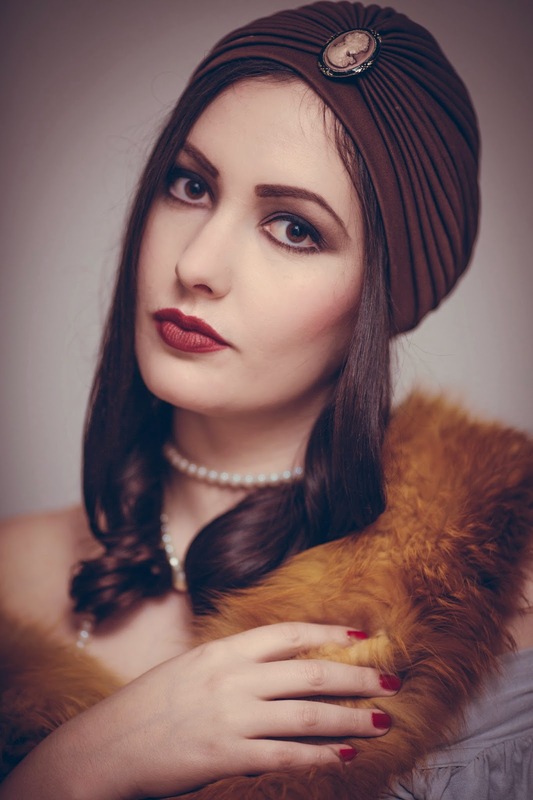 Flappers were a "new breed" of women who wore shorter skirt and dresses, excessive make up and bob hairstyle. They were active in sport, drove cars and drank alcohol. They enjoyed in Jazz music. Prelijepo ti stoji i ti si prelipa!